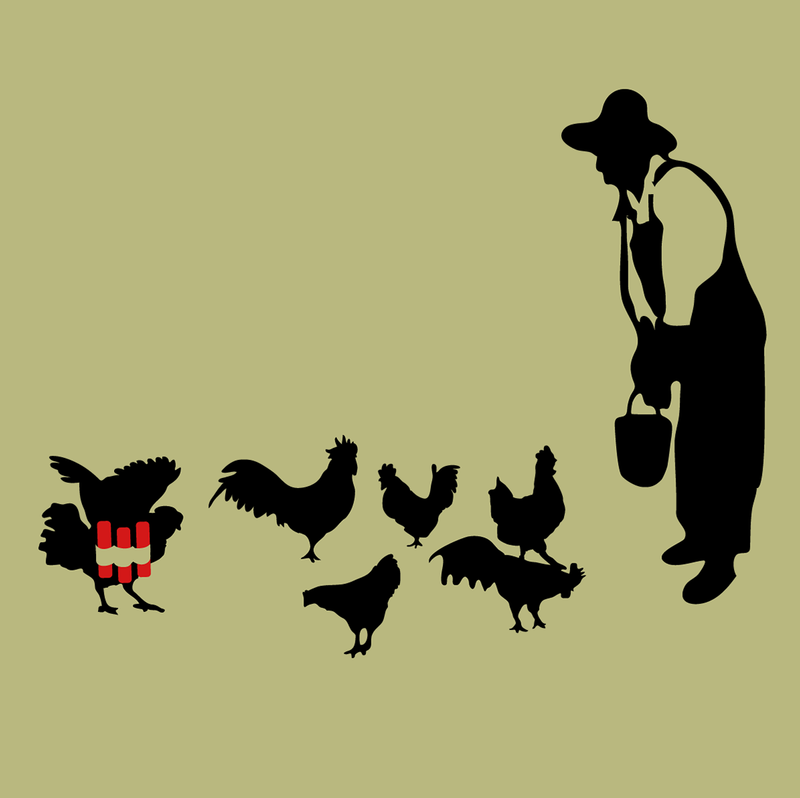 A farmer leaning over his flock of chickens tossing them grain from a bucket. But what's this! 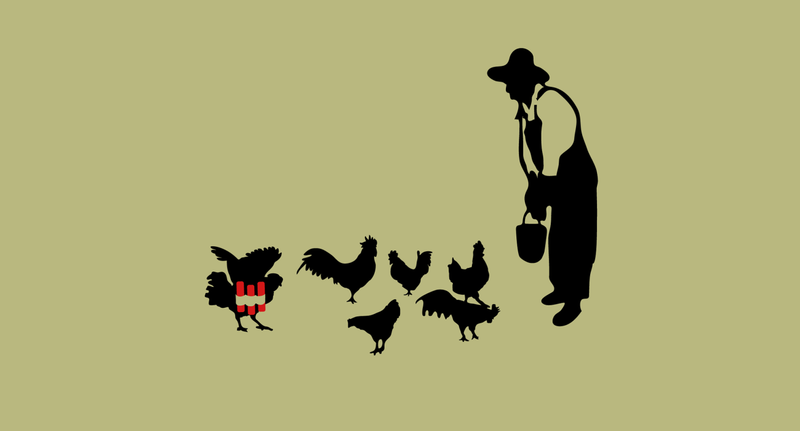 One of the chickens has lifted its wings only to reveal a suicide bombers vest!